It's no secret I am really starting to love my interiors. I dunno, I just think something inside me clicked on my 33rd birthday and I have never been the same since. Is this what they call growing up and becoming boring? Probably. I have tried to link everything I could, but with some items it just wasn't possible. Yellow Dot Dash Bedding | This was a spur of the moment purchase. What? £5 for a double duvet set? It's not like I was going to leave it behind, was I?! I love the mustard shade too, it is one of my favourites and brings a lot of warmth into the room. Unfortunately, I think the line is discontinued, so I have linked a similar item. 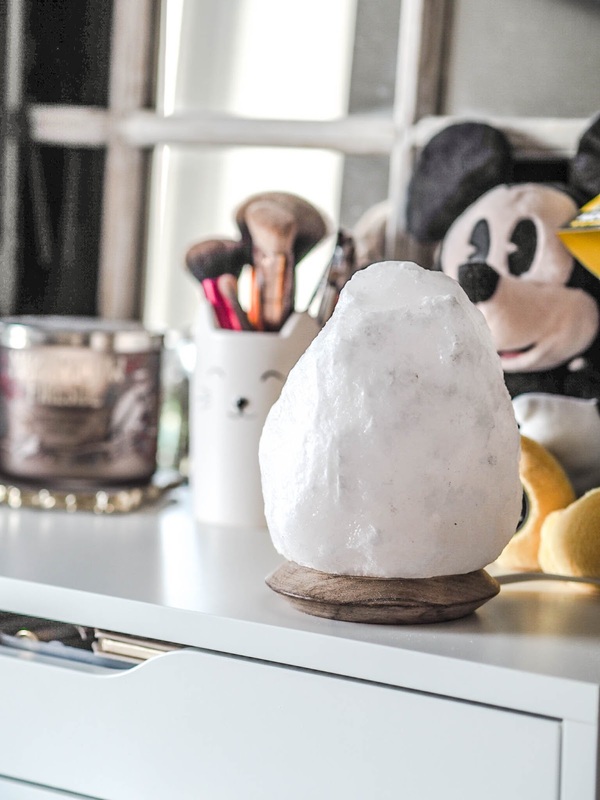 Salt Lamp | I actually got this recommendation from Life on Jack Lane, and I can't thank Laura enough for it. It is perfect mood lighting for a £9.99 Lidl bargain. I am hoping what they say about the health benefits are true too, but have I just been taken for a complete ride? Let me know in the comments! 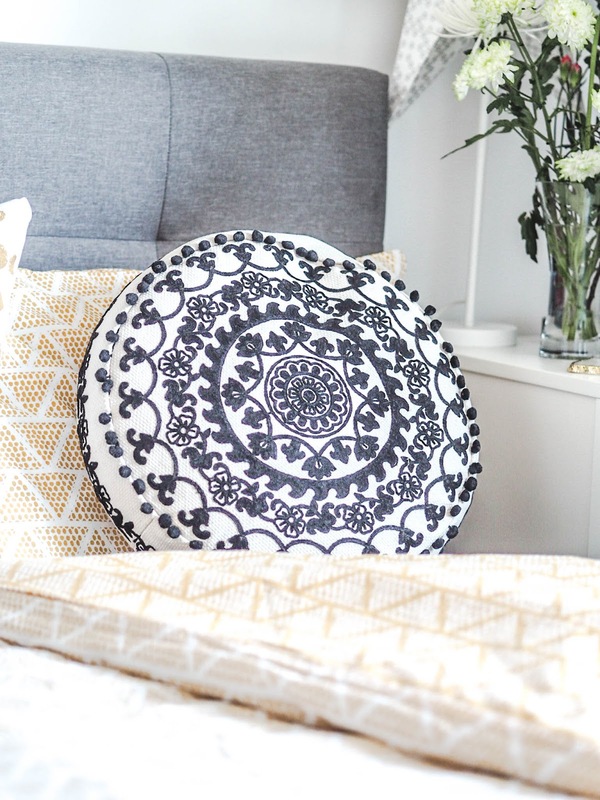 Polka Dot Print Duvet | The infamous spotty bedding. I had actually been trying to get the H&M version for as long as it has been sold out for, and when this came up, despite it being a bit on the pricey side, I had to have it. My only bugbear was having to buy the cushion covers separately, like, who does that anymore?! On top of that there was a bit of an issue with them being sold out, but I pushed through that and it's all good. 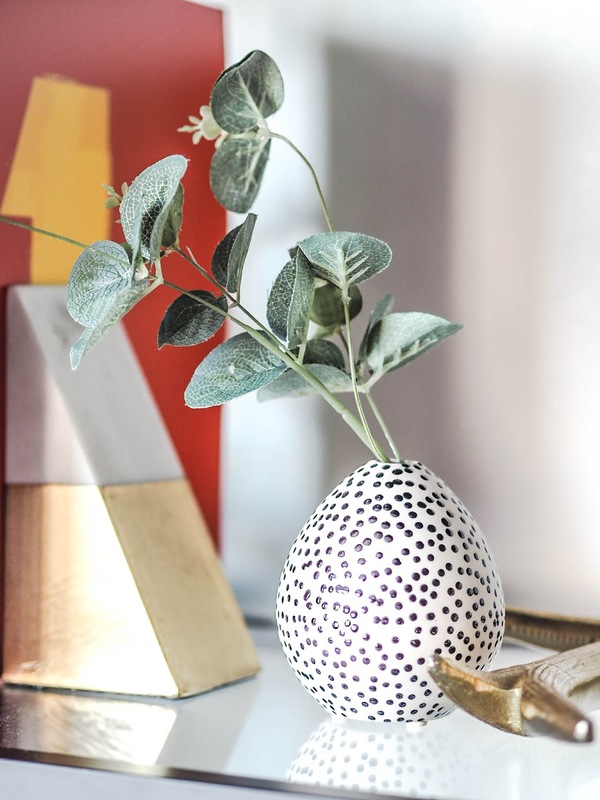 Taiki Dotted Vase | I hold my hands up and admit I am a complete blogger cliche. I wanted this little gem purely to put some eucalyptus in.. Don't judge me. It's the cutest little vase, and definitely fit for its purpose. 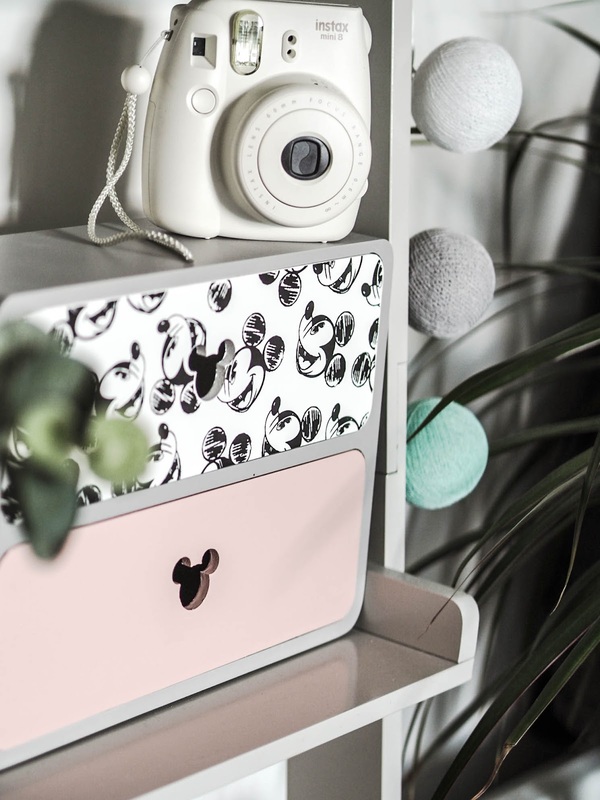 Disney Drawers | Previously mentioned in my Primark Haul. I am still loving these. Marina Chair | We were using a stool for so long that my back just wouldn't allow it anymore. This chair is actually classed as dining chair, but you never would have thunk it, would you? I love the green colour, it's so serene, and fits in perfectly with the rest of the room. 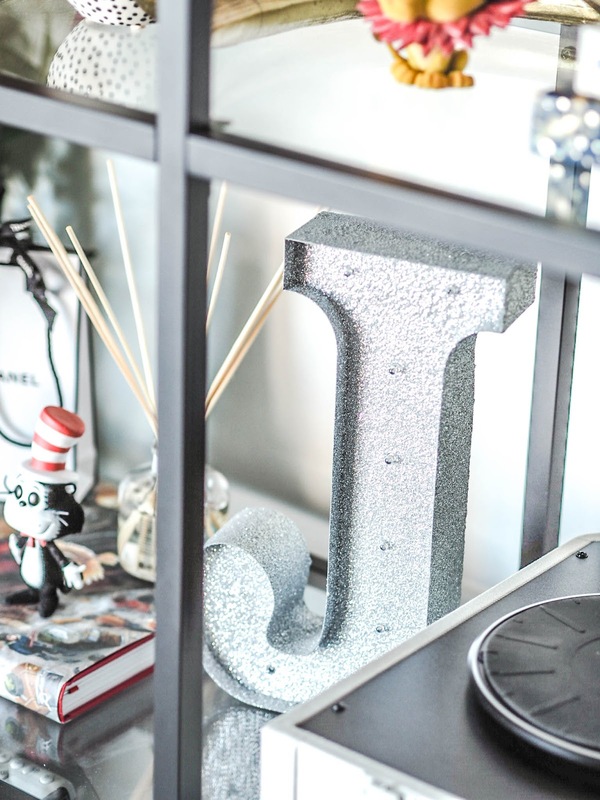 Monogram Lights | I obviously had to get a J and a G. It just adds a nice, and unusual lighting feature to my shelves. I hate that the go to is always fairy lights, well, not me! Fig & Melon Candle | I had been on the lookout for a new Instagramable candle for so long until I came across this one from an independent company. It's just nice to shy away from your usual Diptyque or Jo Malone every once in a while..